“Speak Out Listen Up” is a Walker School Winterim class run by the assistant principal of the Upper School, Mr. Holifield. 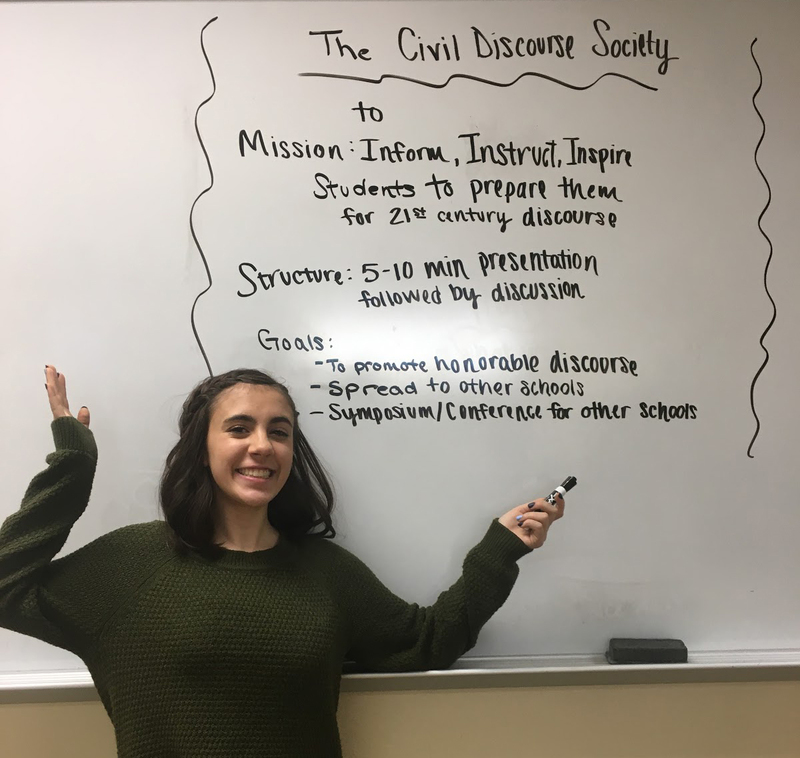 The class is comprised of eight freshman girls that learn about debating, confrontation, rejection, and other important principles pertaining to everyday life. The ladies then use what they have learned to create their own project that will later be applied to the real world. They have done social experiments, as well as overcome individual struggles to learn important lessons about themselves and their environment. From this Winterim sprouted a new club called The Civil Discourse Society. In the club the members will have a very similar format of meetings to the Winterim class. A member will either give a brief presentation or show a quick video that relates to a controversial topic. People in the club will then discuss the topic and respectfully debate with others based on their views. With the closing door of January and Winterim classes ending comes the opening door of a club run by all of the girls in the class (Sarah Laufer, Gillian Stoltz, Hailey Noel, Amanda Johnson, Katie Harmon, Emma Womack, Grayson Berrier, and Ffion Button) and Mr. Holifield. The ladies hope that this club can help “inform, instruct, and inspire students to prepare them for 21st century civil discourse.